Event Parking: Parking will be available around the Airport/High School/Russom Park. Families large and small are invited to this Firework Event. 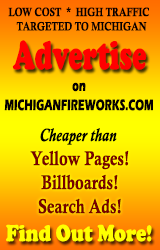 This is the 6th year for the fireworks returning to Dowagiac, being hosted by the Young Professionals of Greater Dowagiac.